What was he thinking? There he was, out in the open, this hot car and he has his finger jammed up his friggin nose to the first knuckle. 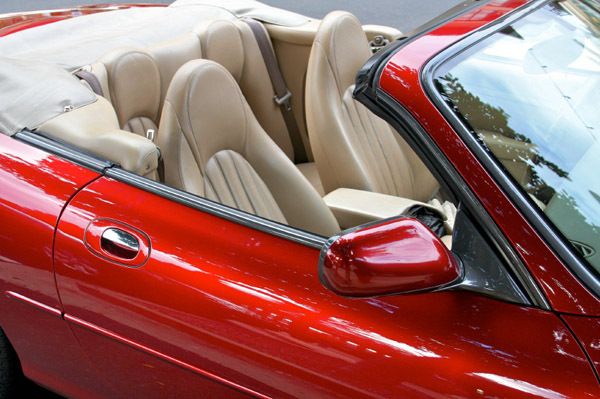 Here is what I think; when you buy a convertible, part of the paperwork should be a list of what is really not acceptable behavior with the top down. And on the top of that list would surely be PICKING YOUR NOSE. FYI, we have a convertible. And honestly, you get alot of attention when you drive one. You can be marginally ok looking and people will turn to look at you. I believe the convertible makes you at least 40% hotter than you really are. And face it, it is a drive by. Imperfections don’t show. Hey, a new line, “F the botox, drive a convertible”. you are just too funny! where are you off too now? We have a lot of nose pickers around here too, except they’re in subways. I guess that’s probably more acceptable considering the location. Have a great time on your road trip! Don’t forget the tissues! Got another one for you…No trimming nose hair with a manicure scissor…all the way up!! NO JOKE…in a Porsche convertible in Westport CT…Wish I had had the camera! I don’t think even Gary would chance that! el, that is unbelievable. who carries manicure scissors in their porche? that sounds premeditated to me!